I treated myself to these slippers over a year ago, and I have been using them regularly since I purchased them. I love them - with and without using the battery. I have poor circulation in my extremities, so my feet are constantly cold except in hot weather. I have tried many slippers and they usually are warm for a bit and then my feet become clammy and cold. I unwrapped these slippers, plugged in the batteries and they kept my feet warm for over 4 hrs on the II setting out of IIII. I slip them on every morning after I get out of bed, and I sometimes wear them in the evening if I take a shower after a workout. I do not know why, but the construction keeps my feet warn (and not clammy or sweaty) even without the batteries engaged on days when it is moderate. This is different from other slippers (non battery) which almost always caused my feet to get sweaty and then cold. I recommend these slippers to anyone who has a tendency to have cold feet. Also consider the newer variety with the zip up sides. They were not available when I purchased my slippers. I also have Volt heated socks, and I will probably purchase gloves and a vest sometime in the near future. ProsThe rubber soles are very nice for walking outside (keep water out from wet grass, etc. ), and they provide an excellent non-slip surface for walking. The batteries are light weight and easy to attach and detach. ConsThe fit runs small. 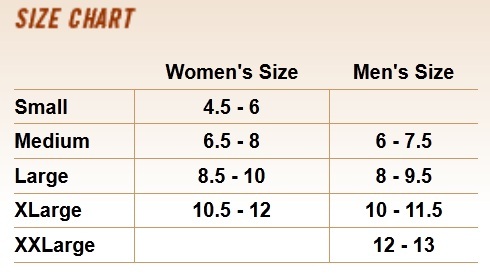 I recommend purchasing a size larger than the size chart. They are a little bit difficult to get on and off at first, but they seem to work easier over time. Consider the newer variety with the zip up sides to alleviate this minor issue. My husband has cold feet. this helps them stay warm and are not restricting to his feet. I like the slippers. I would recommend to others. ProsThey really get nice and toasty. ConsDoesn't last long enough for me. I haven't found a product like this anywhere else, and what a find it was. 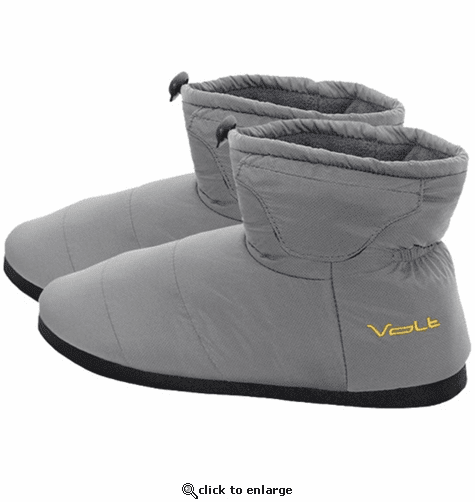 The slippers and accessories work flawlessly, and I find the features of heat adjustment, rechargeable batteries, and remote control all very handy and convenient (not to mention, awesome). It was well worth the money spent.